Tremor, Virtual Percussion Synth from Fxpansion. 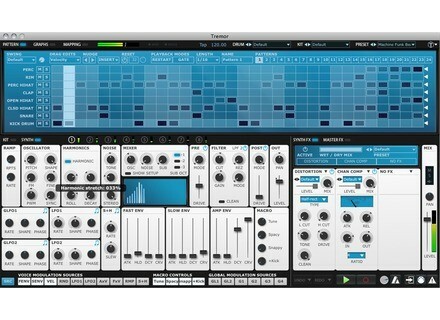 FXpansion his stepping into synthetic rhythm terrain with the announcement of Tremor, a software drum machine. 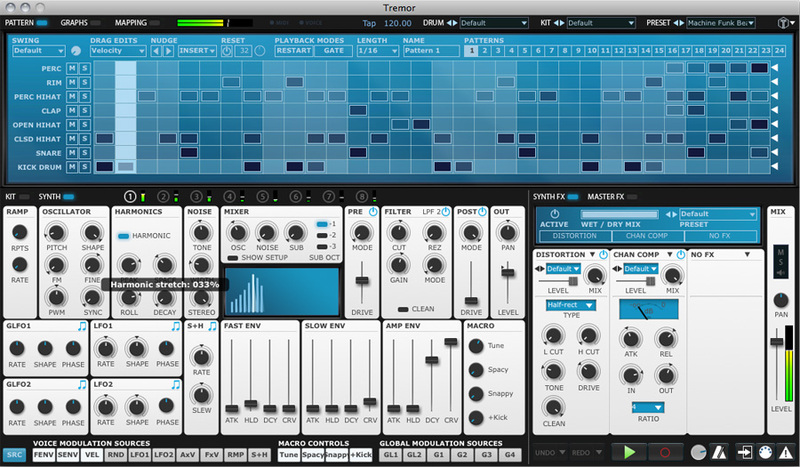 Featuring sound generation based on FXpansion's DCAM engine, Tremor also offers a step sequencer, effects and modulation options. It promises to be suitable for "all kinds of electronic, urban and experimental music", according to the company, and will cost £99. Ion Audio Guitar Apprentice Guitar Apprentice is a full-scale, electric-guitar-style controller for your iPad. [NAMM] Galaxy X Convolution Synthesizer Galaxy Instruments and Best Service present Galaxy X, a new virtual instrument with Effect Convolution sound design. [NAMM] Platinum Samples Rock Legends QuickPack Platinum Samples announces the release of their Rock Legends QuickPack for BFD.